Poker fans have always been mesmerized when hearing about the legendary Bobby’s Room and the huge cash games that go down there. The Big Game has been around for decades, but we rarely hear from the players, who play in the game on a daily basis. 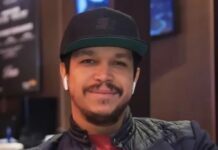 However, PokerGO has now released a new short documentary about the legendary Bobby’s Room, featuring players like Eli Elezra, Jennifer Harman, Todd Brunson and Nick Schulman. 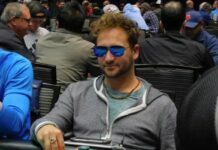 Some interesting tidbits in the 5-minute video are Eli Elezra’s biggest winning and losing sessions and a gambling story about one Arab Sheikh, who wanted to play with the pros and ended up losing $1,7 million in just two and a half hours. Live 1-2 No Limit Holdem and 2-5 NLH in Midtown, Manhattan.